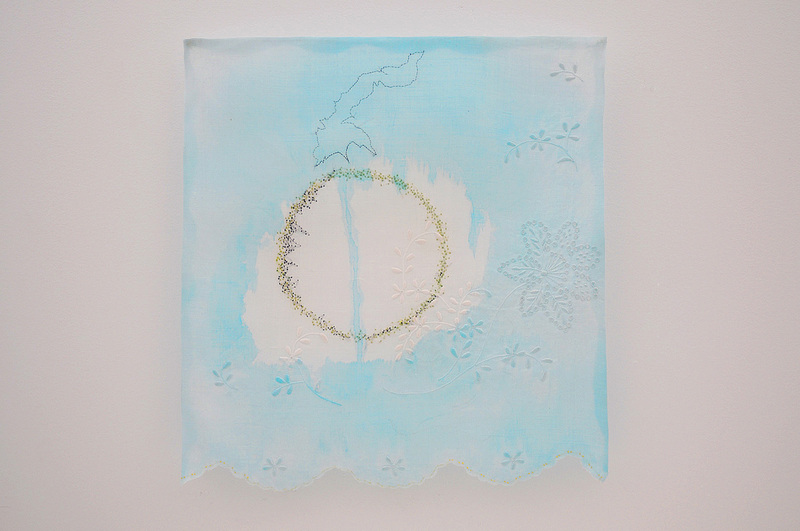 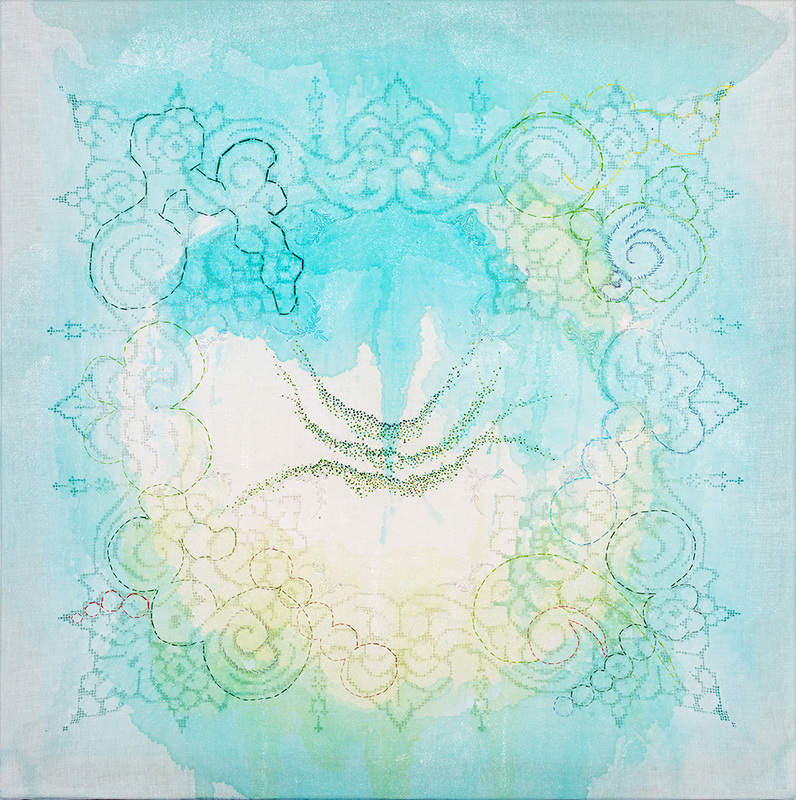 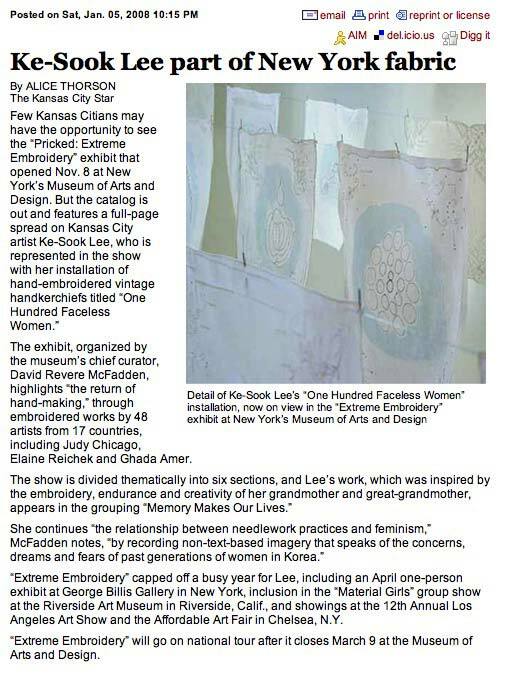 Ke-Sook Lee’s work is inspired by personal experiences, yet comments on universal issues of domesticity and feminism. 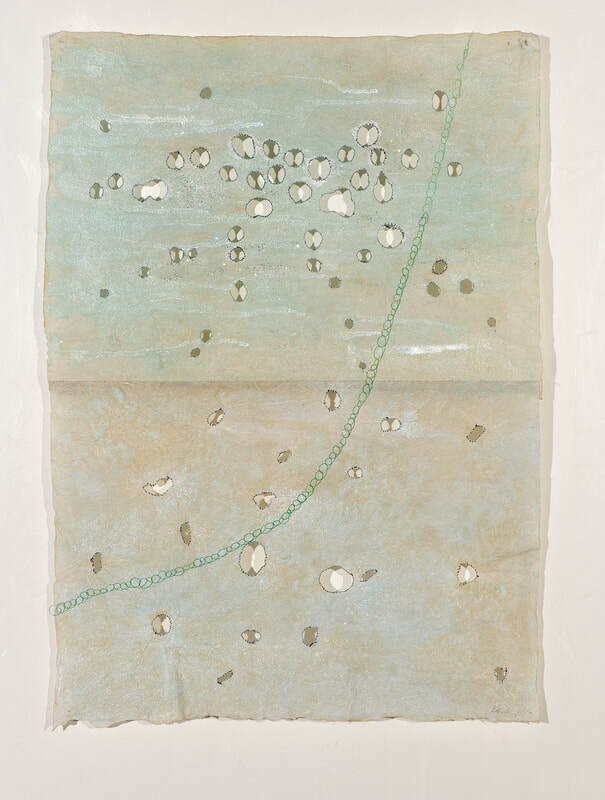 "Stepping Forward" is inspired by the memory of a summer rainstorm that stripped the bark off a tree near her home. 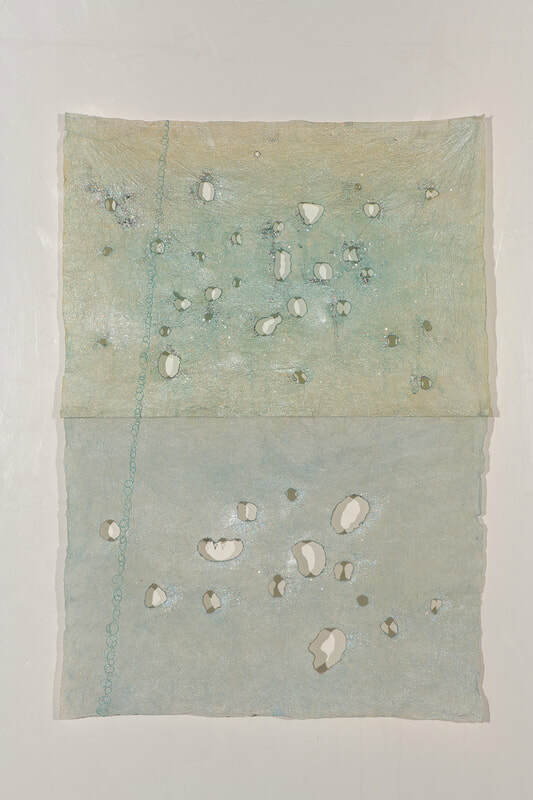 The sight of the discarded bark reminded Lee of womens’ struggle to maintain grounded and strong for their families, like the roots of a tree, while shedding constraints to grow as individuals. 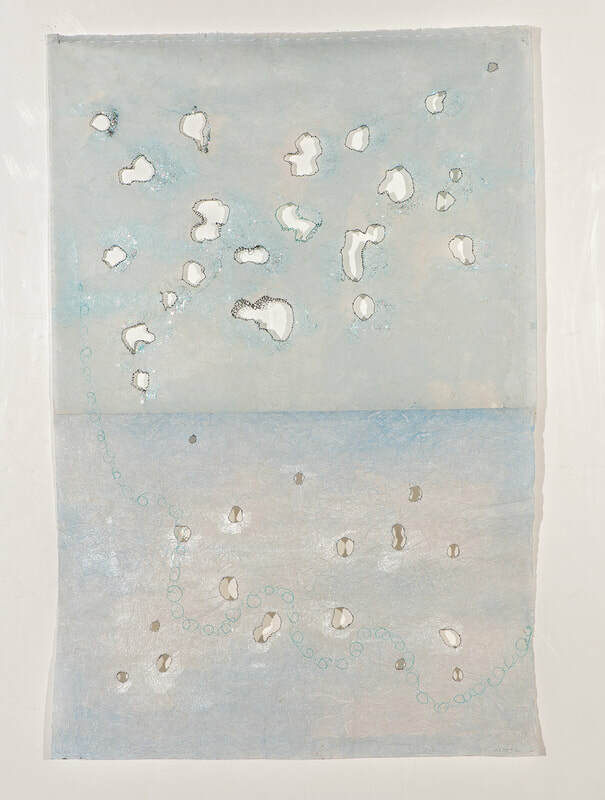 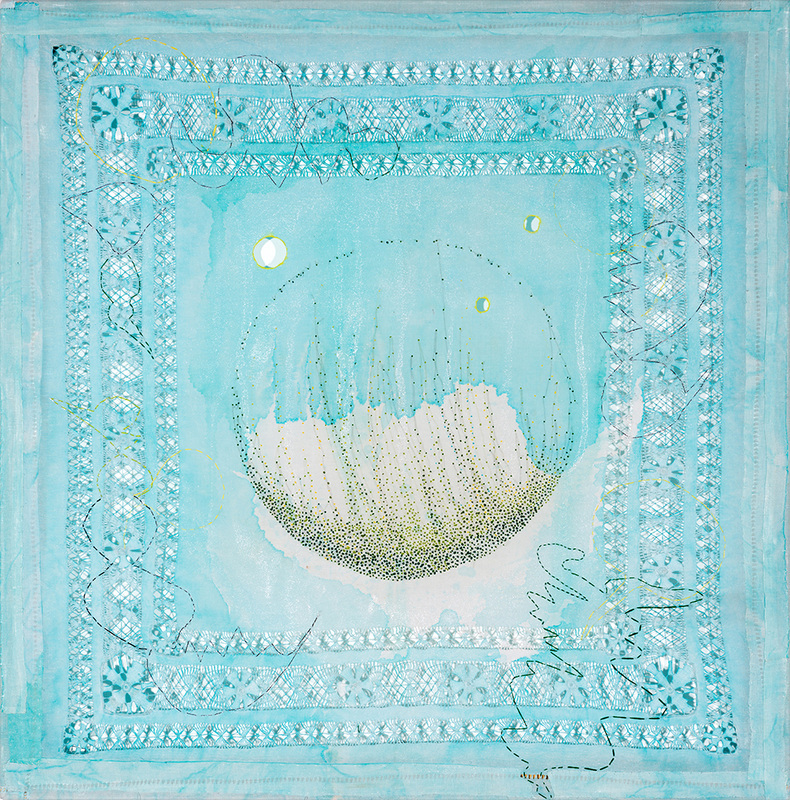 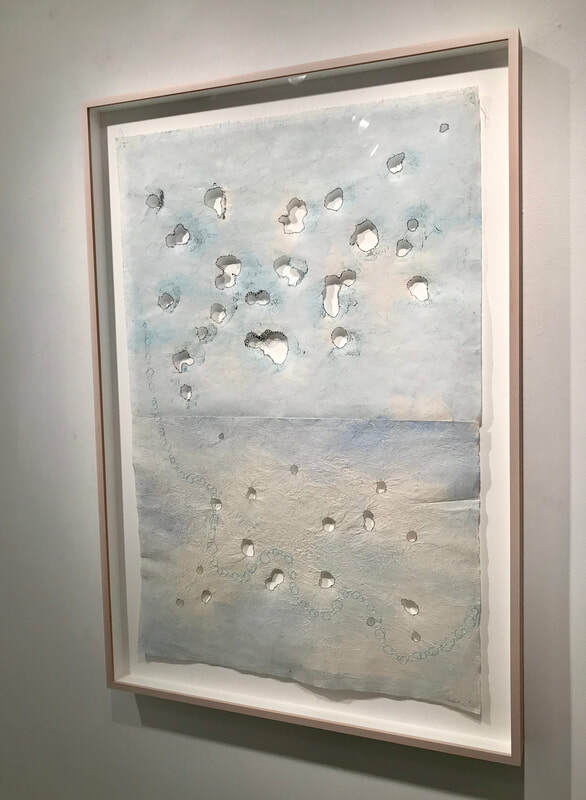 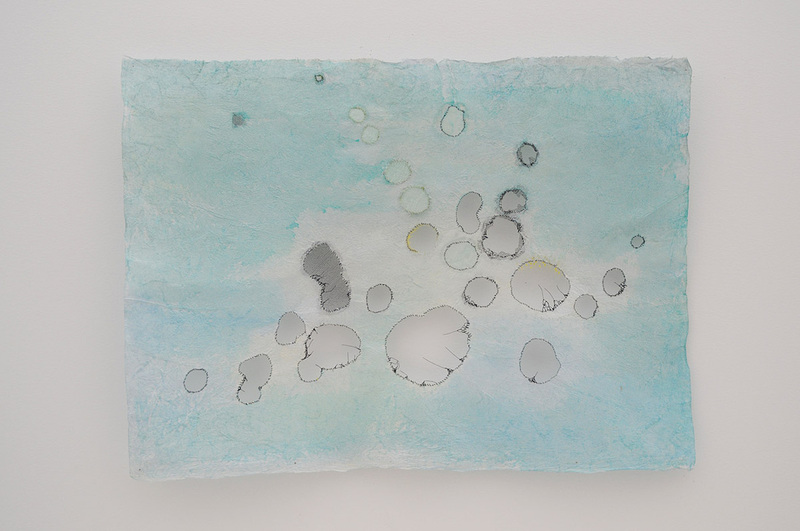 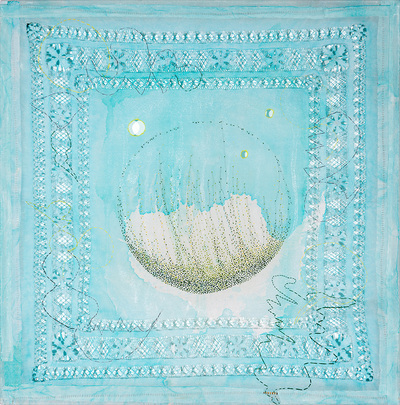 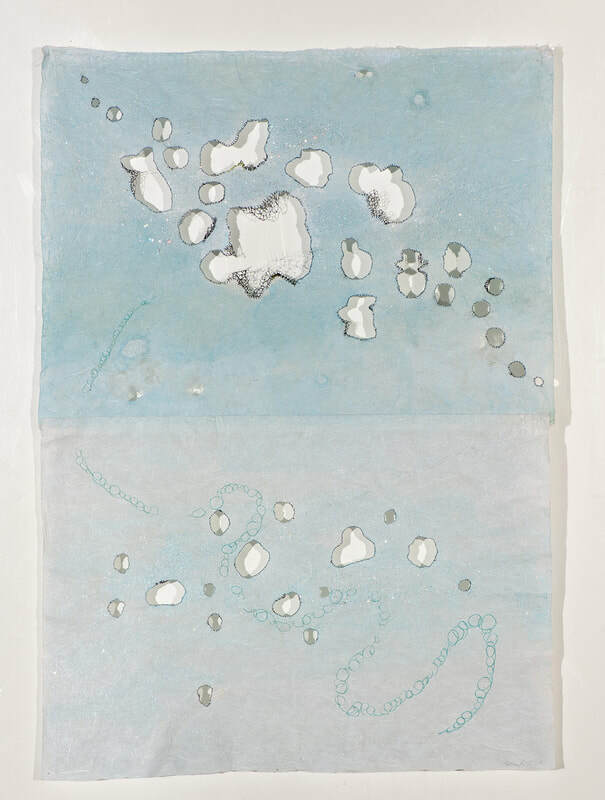 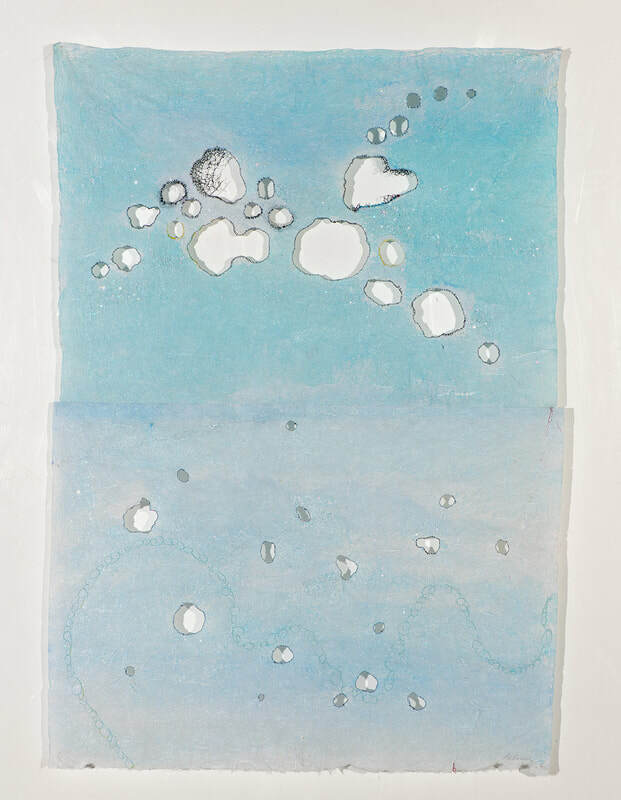 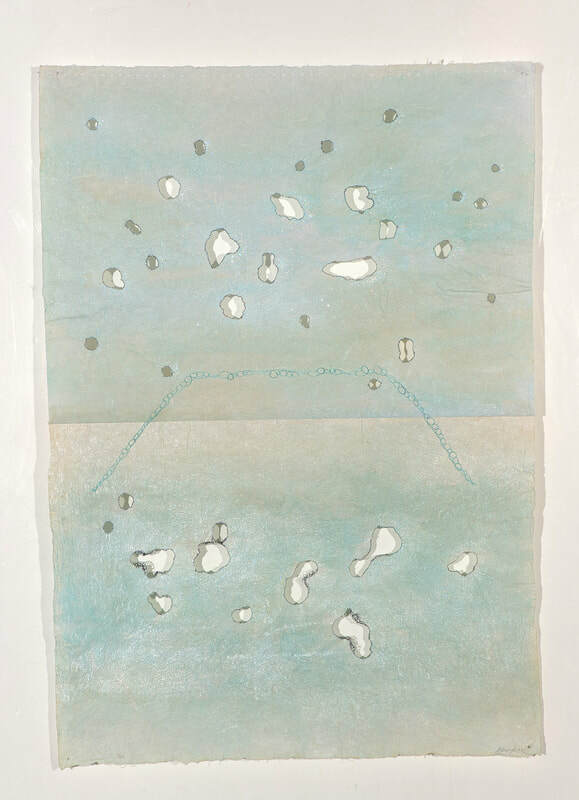 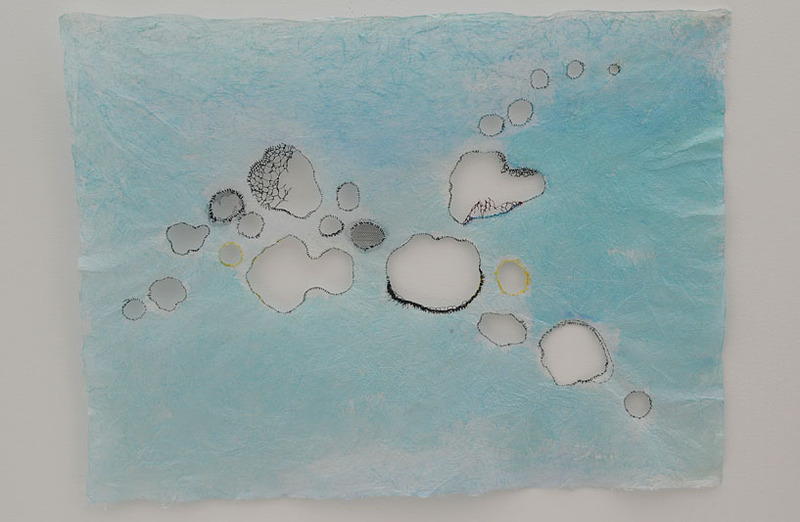 Lee marks her bark-like forms of mulberry paper and recycled fabric with thread, a medium she prefers for its connection to her history. The women of her grandmother’s generation who were not taught to write instead expressed themselves through hand-embroidery. 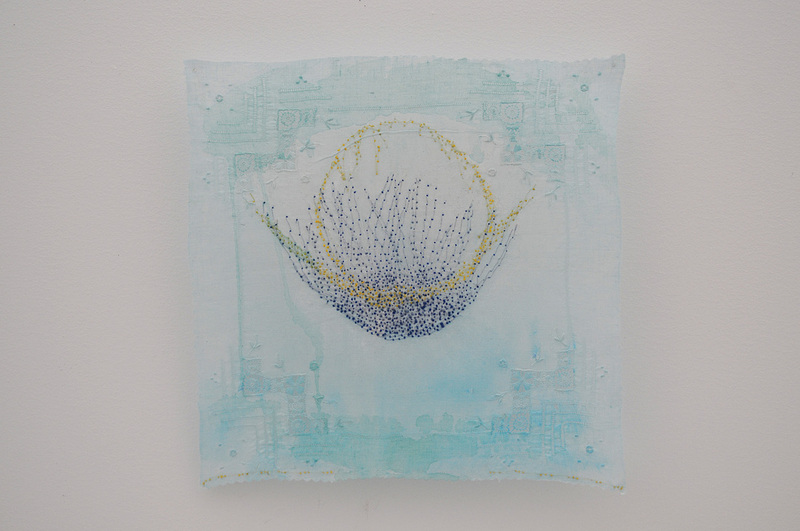 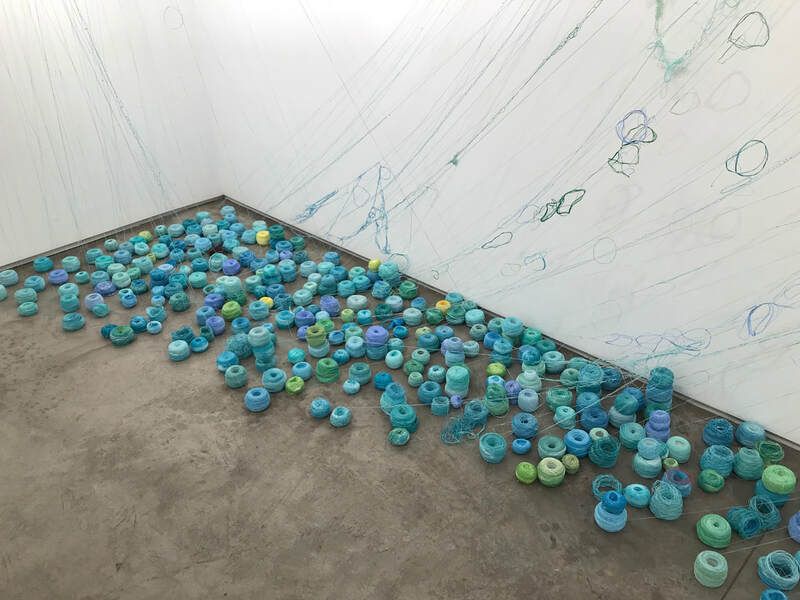 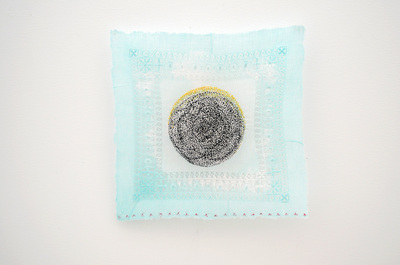 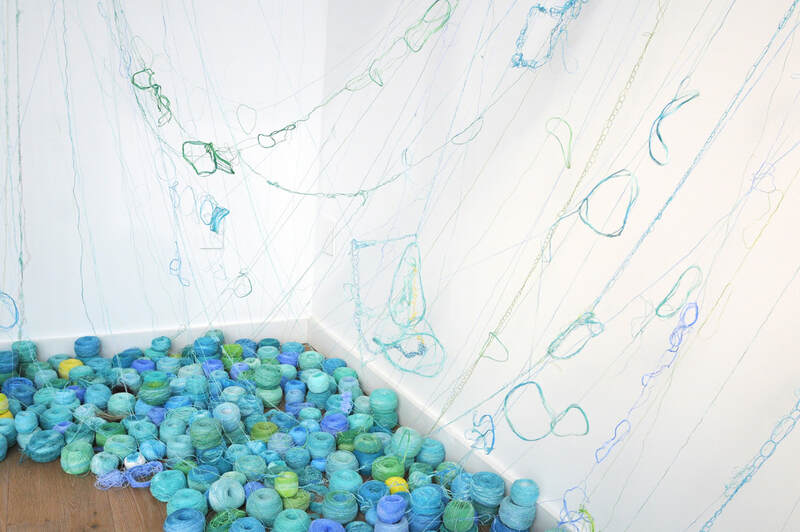 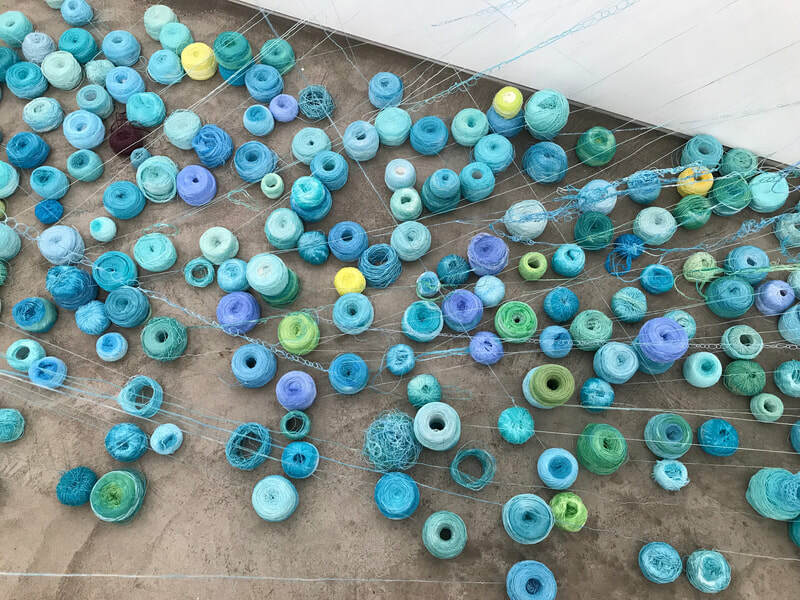 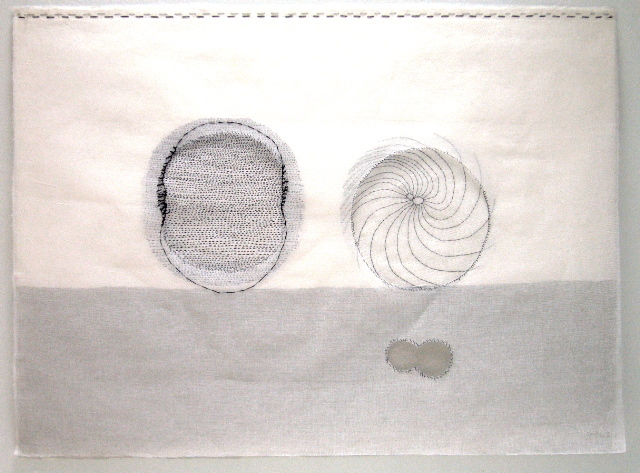 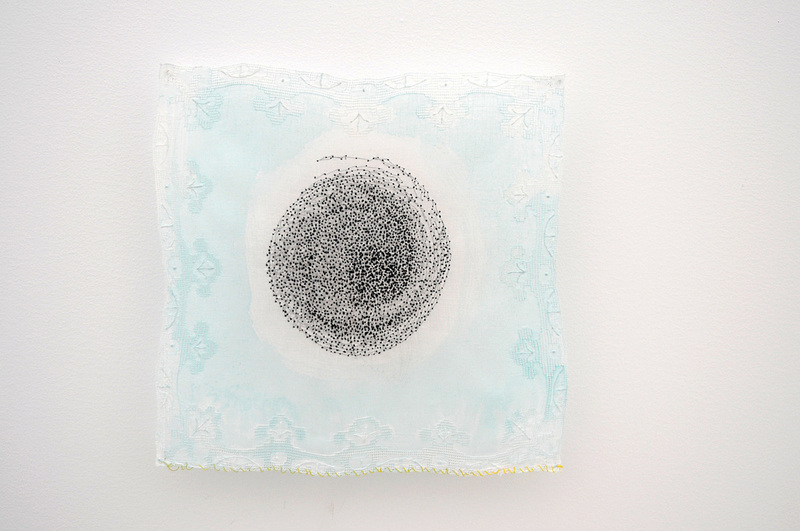 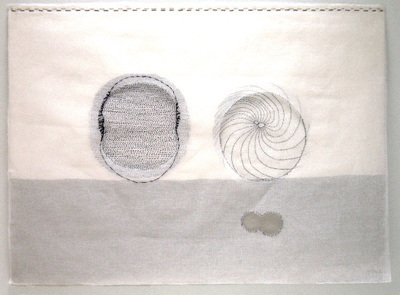 As she makes her marks, she focuses on the experience of sewing, stating, "I am interested in relinquishing conscious control of my hand, letting the thread and needle respond to my memory and experience of my womanhood."